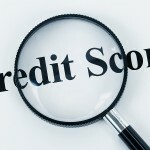 Credit limit is basically the amount of credit that a lender or bank will extend to a debtor. While speaking in terms of credit cards, a credit card limit is the maximum amount of money that you will be allowed to charge on your card. Furthermore, the credit card limit is dependent on various factors including an individual’s financial position, capacity to make interest payments etc. Credit card companies set credit limits in order to counterbalance risk and decrease losses. A low credit limit means that you won’t be allowed to spend more than a certain predetermined amount. Moreover, initially a low credit limit won’t have an effect on your credit score but if your bank slashes your credit limit then your credit score might get hurt. Only your bank has the authority to increase or decrease your credit card limit. Major Banks are lowering credit limited due to manifold reasons. Some of them are mentioned below. 1. Customer defaults – sine the financial crisis began, a large number of credit card holders have defaulted on their credit card payments. This caused an increase in band debts for credit card companies and hence they were forced to reduce credit limited of their card holders. 2. 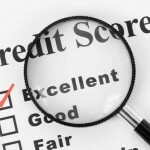 Reduce lending – banks and credit card companies are generally pulling back on lending. They cannot afford to take more chances especially after the 2008 financial disaster. Most credit card companies look to hedge all types of risk. 3. 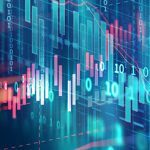 Chasing the balance – Keep in mind that if you make your credit card payments on time and never default, there is no guarantee that your bank won’t slash your credit limit. Most banks and credit card companies use a technique called ‘chasing the balance’. They might lower your credit limit so that in the future they won’t have to bear a heavy loss in case if you are unable to clear your outstanding bills. Credit card companies monitor their card holder’s spending habits very closely. Even a slightest shift in the spending habits is watched by your company. For e.g. if you regularly shop from jCrew but suddenly switch to old navy then this shift will be monitored by your credit card company and they might prepare to slash your credit limit. They might reduce your credit limit as they anticipate a fall in your standard of living which is directly related to your financial condition. What Can You Do If Your Bank Cuts Your Credit Limit? Well if your bank cuts your credit limit then there isn’t much that you can do. Banks or credit card companies are not liable to answer you nor will they inform you before slashing your credit limit. Furthermore, according to the Truth in Lending Act, a lender only has to notify the debtor in advance about the reduction in credit limit if the limit falls below the balance and as a result incur penalties. The plastic card doesn’t come cheap. I believe that one must only utilize a credit card at times of emergency. A lot of credit card holders use their credit cards to buy almost anything out there and thus in the end fall into a deadly trap when they are unable to write-off their debts. Furthermore, despite the fact that you can’t go to jail for a credit card default, the credit card company can still make your life miserable if they don’t receive their payments on time. The bottom line is that you must know your financial conditions and spend realistically. You must spend money within your limits. Loren is a freelance blogger who occasionally writes on finance and relationship, She recently read this article http://www.busybits.com/Business/Financial_Services/ and found it very interesting.